Cremation Services are a popular choice today, but some families in Richfield, Bloomington, Edina, and Minneapolis, may not completely understand this process. Perhaps you've been told that you must have a membership with a cremation society to be cremated, or that choosing cremation means family and friends cannot participate in a visitation or viewing, or other funeral services. We want you to know that neither of these misconceptions are fact, and it is important to realize that cremation is simply a means of final disposition, it does not limit the types of available services. Families that choose Cremation still experience many ways to personalize funeral services. 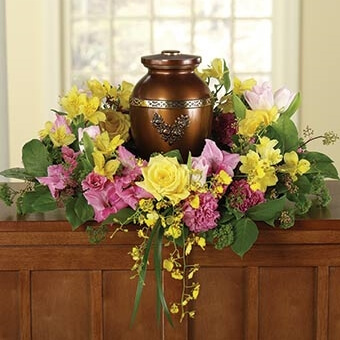 The body is cremated, the cremated remains are placed in an urn or special container, and a memorial service (sometimes called a “Celebration of Life”) at our funeral home, or the church or location of your choosing, follows. 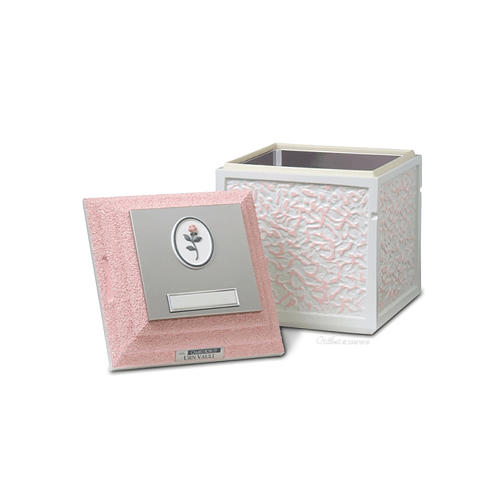 After the service is complete, the cremated remains can be inurned (buried), scattered, or returned to the family. The deceased is prepared in the same manner as for burial (embalming, hair dressing, makeup, clothing, etc.) and placed in a casket for a visitation and funeral service. We offer "cremation caskets" that are economically priced and designed to be cremated. 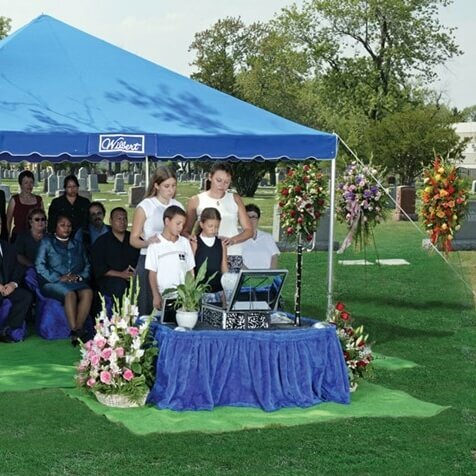 We also offer a "rental casket" option. The outer shell of the casket is reused, while a brand new inner liner temporarily holds the body for services, and then becomes the container in which the body is cremated. After the service is complete, the body is cremated, and the cremated remains can be inurned (buried), scattered, or returned to the family. 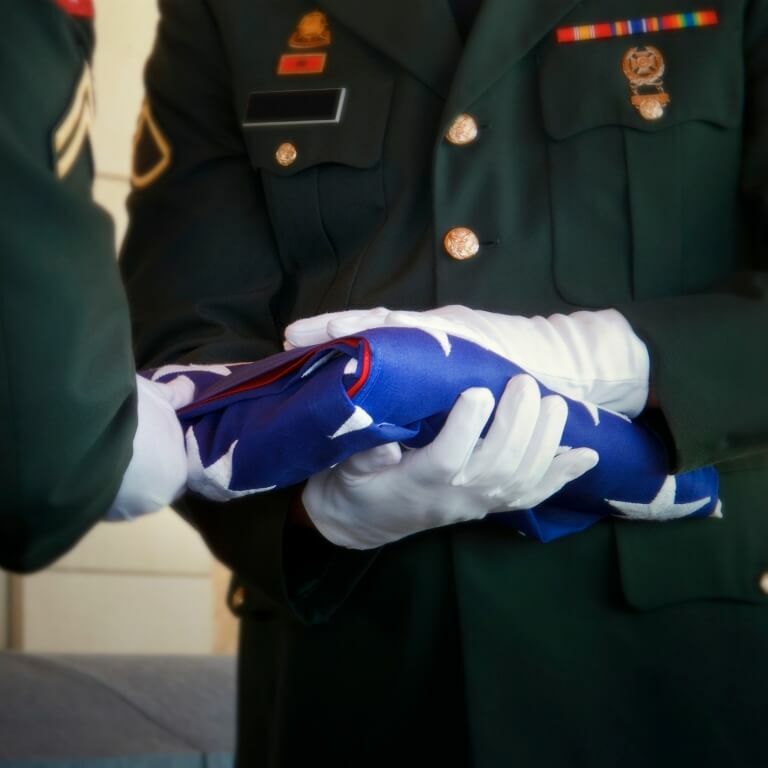 After the service is complete, special military honors, rites, or ceremonies occur at the chosen cemetery. The body is cremated, the cremated remains are placed in an urn or special container, and a Graveside Service occurs at the place of burial. No funeral services or viewings occur after death. The body is not prepared in any way, and an alternative container is used instead of a casket. The body is immediately cremated, and the cremated remains can be inurned (buried), scattered, or returned to the family. While Direct Cremation might seem like an easier and less expensive alternative to a Cremation with a Memorial Service, grief experts believe that having some type of ceremony to honor the deceased better helps loved ones through the healing process. However, please know that if Direct Cremation is what you desire, our funeral directors will always honor your wishes. 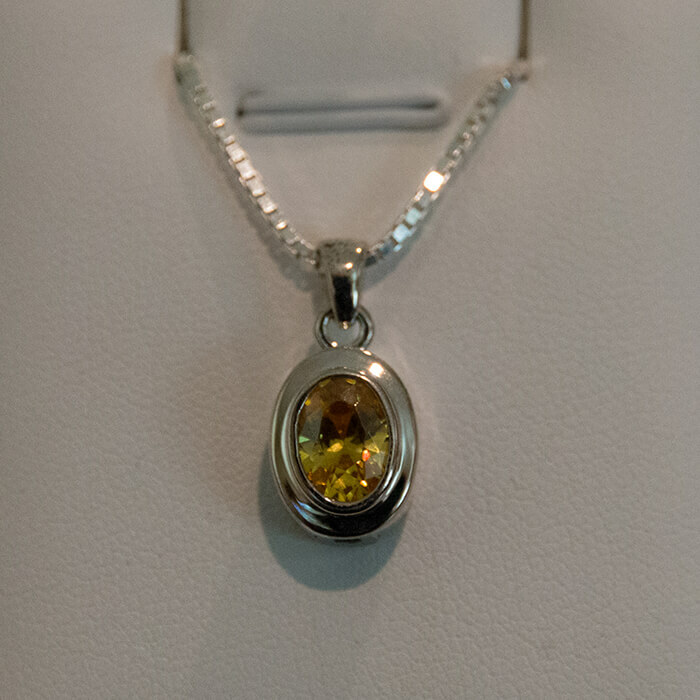 We offer a large selection of cremation urns, cremation urn-vaults, and cremation jewelry. If your question isn't answered here, one of our funeral directors would be happy to assist you. Cremation is the process that reduces human remains to organic and inorganic compounds by exposing the body to intense heat and flame, at temperatures of approximately 1,200 degrees. After the cremation, the cremated remains have the consistency of very course sand or gravel, and are whitish to light grey in color. The cremated remains of an average size adult usually weigh from 4-8 pounds. Sometimes, people refer to these remains as ashes or cremains. In general, cremation is viewed as a less costly alternative to traditional services with a casket and burial. 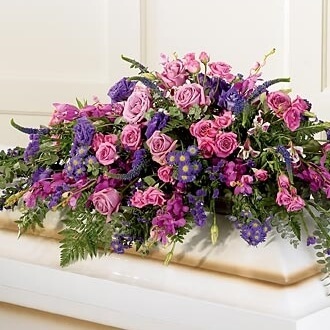 However, certain services that include cremation as the disposition, such as cremation followed by a memorial service or following a service with viewing, can actually be about the same price as services that include a casket, embalming, etc. Some cremation providers advertise very low prices, but later add fees for many additional services that are included in our charges up front. Can you have a funeral service, visitation, or viewing before cremation occurs? Yes, this is a common arrangement among people who have chosen cremation but understand the psychological importance of viewing the deceased and publicly celebrating their life. 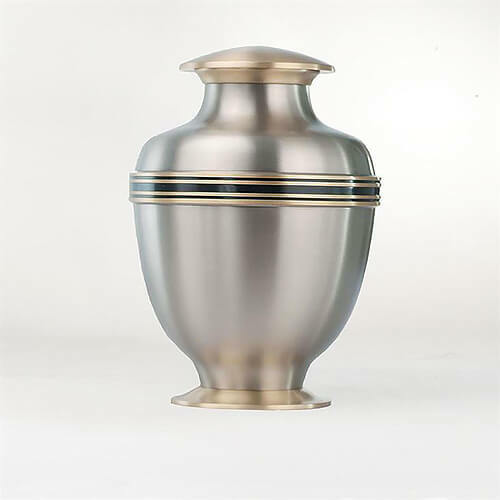 In this situation, you have the option of selecting a less expensive casket specially made for the cremation process, or you may use our rental casket for services, after which the body will be cremated in an alternative container. You may also schedule a private family viewing, during which the deceased may be viewed in a natural state. Can the relatives of the deceased watch or witness the cremation? Yes. One of our funeral directors will accompany the family to the Lakewood Crematory, and family members can be present when the body is placed into the cremation chamber. In fact, some religious groups include this in their funeral customs. We do not charge an extra fee for this service. Does Morris Nilsen Chapel have an on-site crematory? Due to restrictions by the City of Richfield, we do not have an on-site crematory. We use the crematory at Lakewood Cemetery in Minneapolis to perform cremation services. Lakewood is a well-respected association that has performed cremation since 1910. Transportation to and from Lakewood is always provided by our staff, not another party. This arrangement ensures that proper procedure is always followed, and it helps us keep our prices very competitive. Can I choose a permanent resting place for cremated remains? Yes. 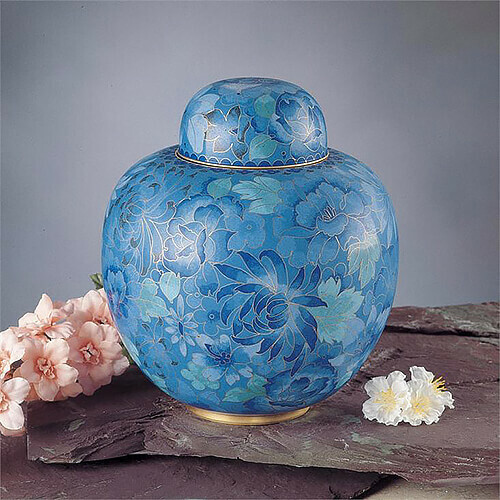 Cremated remains can be buried, or inurned in the ground, or placed in a niche in a columbarium or mausoleum at a cemetery. Certain cemeteries require an outer burial container called an urn vault for in-ground burial of cremated remains. Can an organ or tissue donor still be cremated? Yes. Organ or tissue donation can be performed prior to the cremation process.